Are you ready to start your journey to self-discovery with chakra mantras? Mantras are some of the most powerful ways to activate your chakras, if you have the right technique. In this guide, you’ll learn what chakra mantras are, how they work and what you can do to start using them today. Plus I’ve included some tips on improving your meditation practice to really see the benefits of chakra meditation. 1. What Are Chakra Mantras? 3. How Do Chakra Mantras Work? To understand what chakras mantras are, you need to learn the difference between the 2 elements of this empowering practice. These are chakras, and mantras. Chakras are a tier of seven energy centers in the body. You see, in the modern world, we often ignore how we feel - we eat badly, procrastinate exercise and sleep too little. Basically we neglect to take care of our bodies, letting stress and anxiety control our lives instead. But how we feel physically is linked closely to how we feel mentally. There needs to be a balance, which is how chakra mantras can help. Chakras are intangible, just like feelings or ideas. But when you unlock them with chakra mantras, they can have a huge impact on how we feel, our consciousness and our spiritual well-being. When you unlock your chakras, you begin your journey to a healthier happier you. Just like how you we know the wind moves the oceans waves, we can see the effects of our chakras by looking at the positive thoughts, feelings and ideas that transform our lives. Think of mantras like prayers. When you repeat a mantra to yourself, you’re engaging your body, mind, thoughts and speech to change your emotional state. After a little practice, this can help you achieve a deep level of concentration, anywhere, anytime. If you’re motivated to try some out for yourself, check out my guide to mantras for peace. Mantras are far more than just a physical practice. They can permeate your subconscious, transforming your inner emotional state as much as your outer physical body. Later on in this guide, you'll learn the sounds of the chakras. Bija mantras (meaning seed in English) focus your energy and concentration towards your chakras, so that you can activate and increase the flow of energy throughout your body. So how can Chakra Mantras improve the quality of your life? Self-Development: With more inner peace comes more self-control, discipline and awareness of how you feel. Relationships: Once you’ve gained a deeper level of introspective insight, you’ll become more compassionate and aware of how your actions affect others. This in turn improves your relationships, friendships and ability to communicate. Source: Here's the science behind chakras. To begin, simply find a quiet place to relax and meditate, whilst you chant to yourself the chakra mantras I’ve detailed below. There’s a unique mantra to repeat for each chakra - known as a bija or 'sound of the chakra'. Whilst chanting, you’ll feel the vibrations flow through your body as energy that activates each chakra. This repetition will also boost your concentration. I’ve included an overview of each chakra, so that you know what each disk is responsible for. You’ll also find tips on what to concentrate on too e.g. for the crown chakra, you should imagine floating away from the material, physical world that most of us feel attached to. As you’ll discover below, whilst it’s important to activate the chakra, too much energy flow can cause a negative effect too. Use these mantras as a way to balance your energy flow - so that your chakras are neither blocked nor over stimulated. When you practice these mantras, you’re basically planting a seed for your chakra. Each of these chakra mantras create vibrations, with each one designed to specifically heal a particular mantra. These seeds are known as a bija. For example, the LAM mantra opens up your Base Chakra, whereas chanting HAM will create vibrations for healing your Heart Chakra. I’ve included a YouTube video with each of the chants, so you can hear how they sound and practice them for yourself. Enjoy! The LAM chant activates your Base Chakra. So how does this Base Mantra Chakra help you? VAM is the Chakra Mantra for the Sacral. It’s actually pronounced Vang, as you’ll discover in the video example below. Interestingly, the Sacral Chakra is closely tied to emotions like self confidence, self-esteem, self-worth and even your overall sense of creativity. RAM is the Chakra mantra for the Solar Plexus. So how does the solar plexus impact you? This chakra is in the heart, and the mantra is YAM. Due to its links to the heart, this is a chakra for love and compassion. When your chakra is balanced, you feel acceptance, compassion for others, empathy, warmth and love for those around you. If you’re struggling with depression or social anxiety, it may be because your Anahata chakra is blocked. This can lead to feelings of loneliness, or even jealousy. Not only that, an imbalance of the heart chakra can lead to issues with blood pressure, respiratory problems, and a physical tightness from your muscles. Whilst chanting the chakra mantra Yam, try to focus on feelings of love, warmth and compassion. Focus on the people you’re grateful for in your life, and why you love them. The throat chakra mantra is HAM. It’s closely linked to communication and how we express ourselves to others. Hormones, such as the thyroid hormone, are produced from within this chakra so it’s important to keep it balanced for emotional stability. Why is this such an important chakra? KSHAM is the mantra for the Third Eye. When practicing this chakra mantra, try to focus on shattering your illusions about the world, and creating more clarity from your perspective. So what is the third eye chakra linked to? AUM is the chakra mantra for this energy point. Whilst repeating this mantra, try to concentrate on focus your energy inwards, to the top of your head. 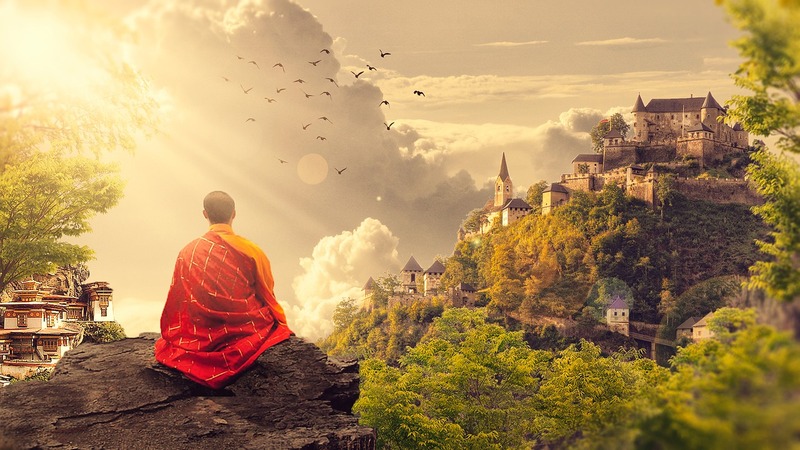 Let yourself float freely away from the material, physical world and instead connect with the energy flow inside yourself. 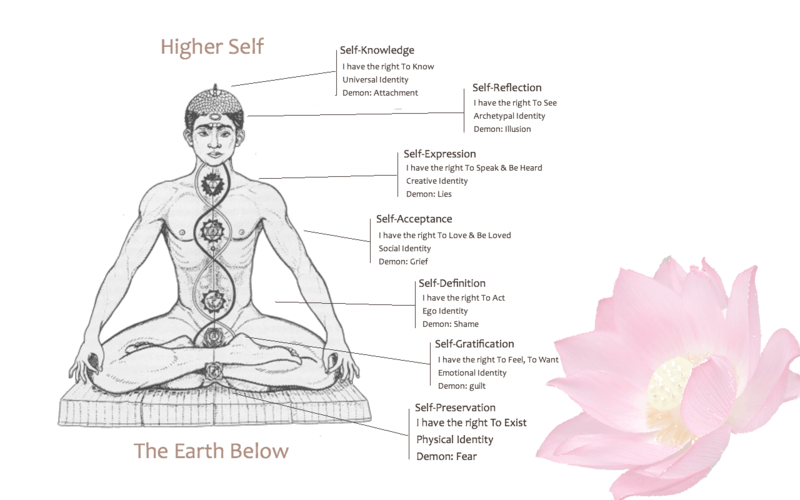 How will activating the Sahasrara chakra change the way you feel? When you’re chanting Chakra mantras, just focus on one chakra at a time. This gives you a higher level of focus on each chakra, concentrating your healing energy throughout the body. Chanting mantras is incredibly empowering, but don’t expect results every time. Developing peace within takes years of consistent practice, and it’s no different with chakras. If you meditated for a day, you wouldn’t expect to become enlightened straight away. It’s the same for chakra mantras - take your time and enjoy the journey. If your mind is busy, distracted and not fully focused to the task at hand, you won’t be able to find inner peace. So you have to find a convenient time to practice these chakras, when you’re relaxed, calm and prepared to focus your full attention. To achieve deeper levels of relaxation, you need to be comfortable. Don’t wear something that’s going to restrict your flexibility - tight jeans are a bad idea!